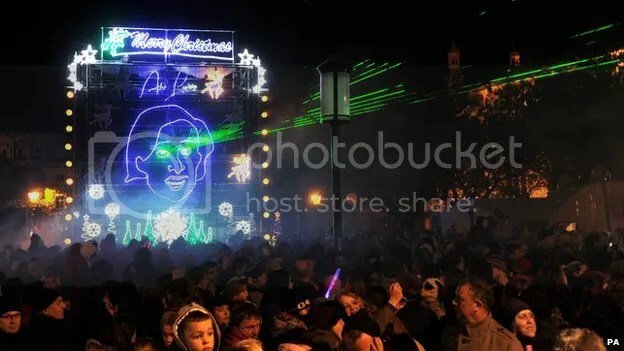 An illuminated Alan Partridge features in this year’s Christmas Lights in the city of Norwich. The light display includes a 30ft sculpture of Partridge’s face. And, if that alone wasn’t enough, it sings Roachford’s 1980s hit Cuddly Toy, which the character sang in the movie, Alpha Papa. Actor Simon Greenall, who plays the character of Michael in the movie and I’m Alan Partridge, read a message on behalf of the character at the ceremony to switch on the lights. No, but I did notice the acronym of the American Humane Association was AHA!